The EU Rights in the Spotlight section for this month features three rulings affecting the derived right of residence in the EU of non-EU nationals and the right of a non-EU citizen to access social security benefits in an EU Member State. On May 10, 2017, the ECJ ruled that a third-country national parent of an EU national child has a right of residence in an EU Member State if a refusal to grant the right of residence would result in the child having to leave the EU. The ruling is a consequence of a Venezuelan national with a Dutch child being refused the right of residence in the Netherlands. Without a right of residence, she was denied access to social assistance and child benefit. Seven other individuals, all third-country nationals, are in a similar situation: mothers with Dutch children from a Dutch national father. The ECJ sought to determine whether, as mothers of a child who is an EU citizen, they acquired a right of residence under Article 20 TFEU. The Court determined that Article 50 TFEU precludes national measures that have the effect of depriving EU citizens of “the genuine enjoyment of the substance of the rights conferred by virtue of their status.” The Court ruled that the primary carer must be identified, as well as whether there is a relationship of dependency between the child and the third-country national. The best interests of the child must be accounted for, as well as the risks associated with separation from the third-country national parent. 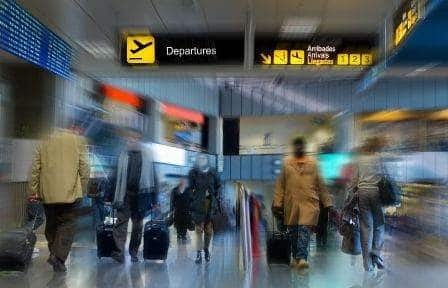 An Advocate General of the ECJ ruled in May that an Algerian national married to a Spanish citizen has a derived right of residence as the spouse of an EEA national, despite the fact that his wife became a naturalised British citizen. He had been refused a right of residence by the UK government and served notice of a decision to remove him from the UK on the grounds that his wife, as a naturalised UK national, was no longer regarded as an EEA national and he had overstayed his visa in breach of immigration controls. In June, the ECJ ruled that a non-EU national living in Italy with three minor children and a work permit valid for longer than six months is entitled to a benefit provided for households with at least three minor children and an income below a certain level. Her claim had been rejected on the grounds that the benefit was not available to non-EU nationals with a single work permit.